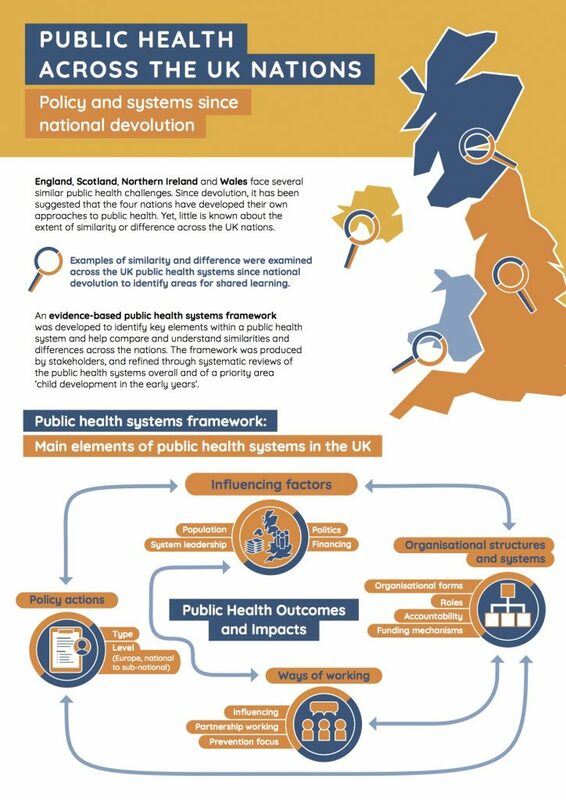 Research led by Dr Amy Barnes: England, Scotland, Northern Ireland and Wales face several similar public health challenges. 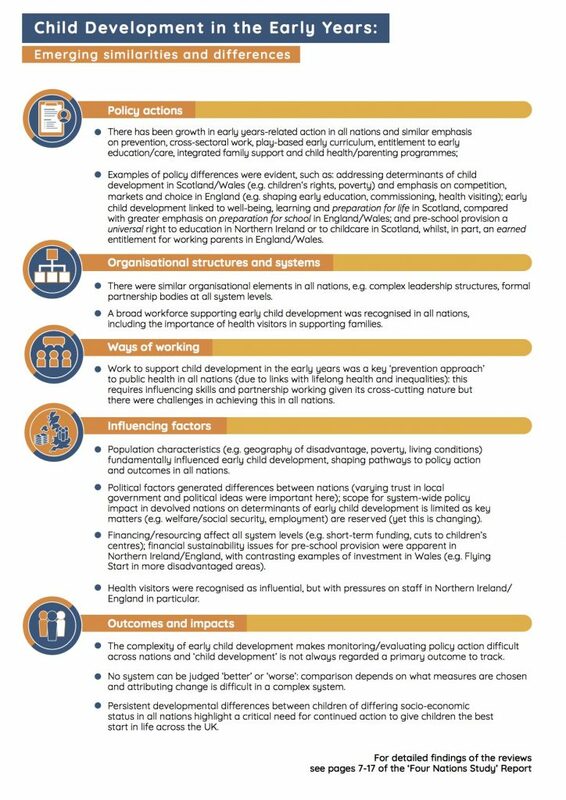 Yet, little is known about the extent of similarity or difference across the UK nations. 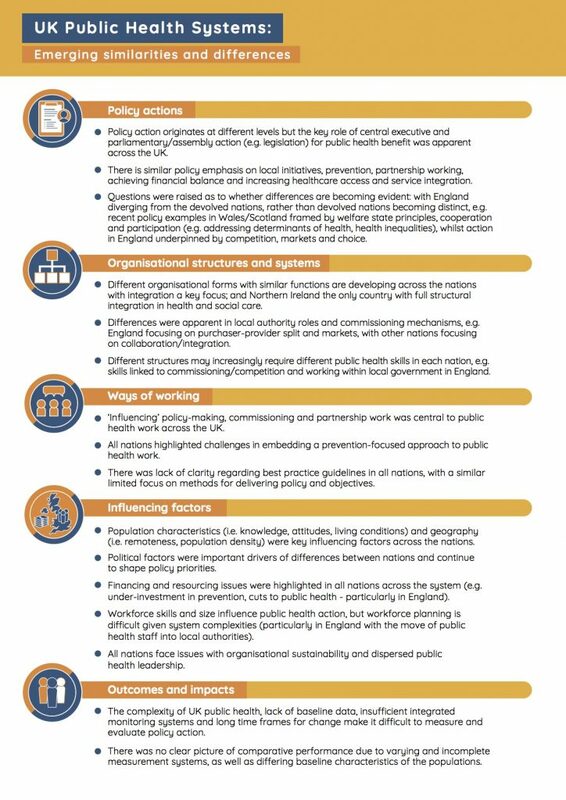 An evidence-based public health systems framework was developed to identify key elements within a public health system and help compare and understand similarities and differences across the nations. 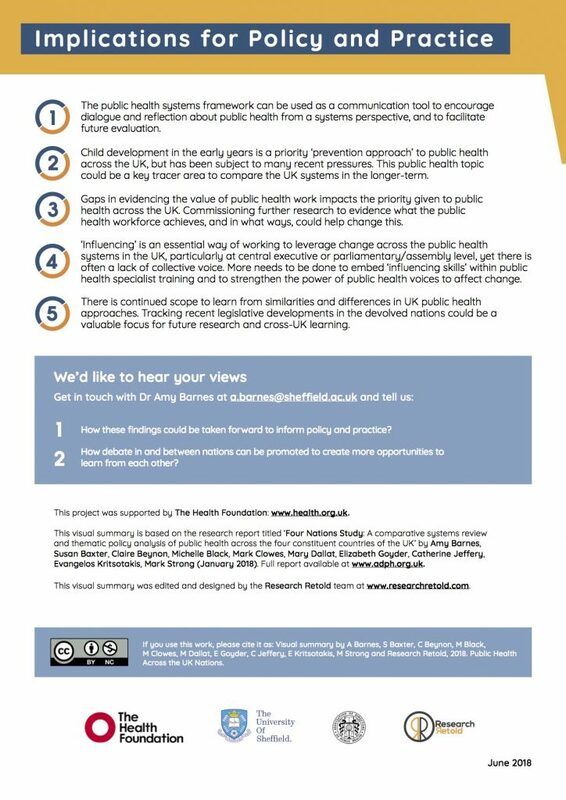 This research project has been completed on behalf of the Association of Directors of Public Health (ADPH) by the School of Health and Related Research (ScHARR) at the University of Sheffield, with support from the Health Foundation. Read the step-by-step blog of creating his visual summary here. This visual summary was edited by Codrina Crețu and designed by Samual J Brown.